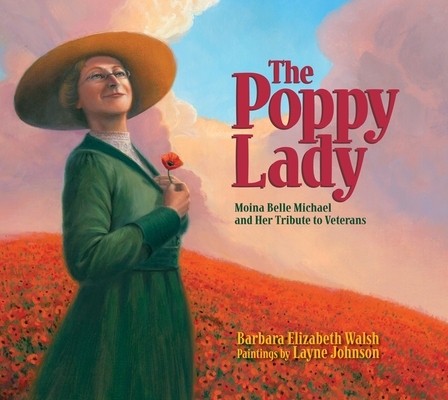 The Poppy Lady: Moina Belle Michael and Her Tribute to Veterans (Hardcover) | Copperfield’s Books Inc.
Barbara Elizabeth Walsh has fond memories of poppies and parades honoring her father and other veterans. During World War II her father knew Moina Michael, the Poppy Lady. A former elementary-school teacher, Barbara has written articles for Highlights for Children and Cricket. The Poppy Lady is her first children's book. She and her husband live in Mantoloking, New Jersey, and Key Largo, Florida. Layne Johnson has created art for more than twenty books for children, including the Western Heritage Award-winning Off Like the Wind! : The First Ride of the Pony Express (by Michael P. Spradlin) and the acclaimed Farmer George Plants a Nation (by Peggy Thomas), a picture book biography of George Washington's life as a farmer, inventor, and scientist. Mr. Johnson speaks frequently in schools and libraries and enjoys traveling to historic sites. He lives in Texas with his wife. You can visit him on the web at www.laynejohnson.com.